A Maiden Stakes over 5f. Blessing Box could go well at a price. 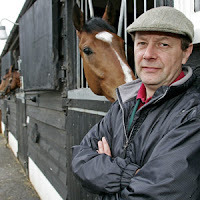 Chris Wall often trains his juveniles in a very progressive fashion: few hitting the frame on their debut but little by little they learn the ropes and then primed for a big run. For this canny outfit, it is often third time lucky. This daughter of Bahamian Bounty was well backed on debut at Sandown but inexperience cost her dear. However, there were definite signs of ability, staying on in the closing stages, and from a decent family. Once again, there was promise shown at Kempton when stepping up to 6f. Chris Wall will have her primed for a big run today. A fair each way bet if price allows.